Can I have that spicy candy, por favor? I have said so before: Mexican food is spicy. And I am not talking about I-will-go-to-a-Mexican-restaurant-abroad-and-order-the-most-spicy-thing-on-their-menu spicy, but about concentrated-salsa-full-of-peppers spicy. Picante, as they beautifully name it here. Te pica? No, no es possible! (Literally: ‘It stings? No, impossible!’) I have heard this many times when I was brave enough to try something new. Also, never ask: Está picoso/picante? (‘Is it spicy?’) or Pica? (‘Does it sting?/Is it spicy?’) People will answer your questions with noooo, no pica para nada. Or muy poco. While I am already on fire just looking at the salsa! A better way to ask how spicy something is, is by simply asking: Tiene chile? (‘Does it have chile?’) When the answer is ‘yes’, you know you will have to be careful with the amount of salsa you put on your tortilla. I often wondered how it’s possible that Mexicans can eat so many hot salsa with their food. 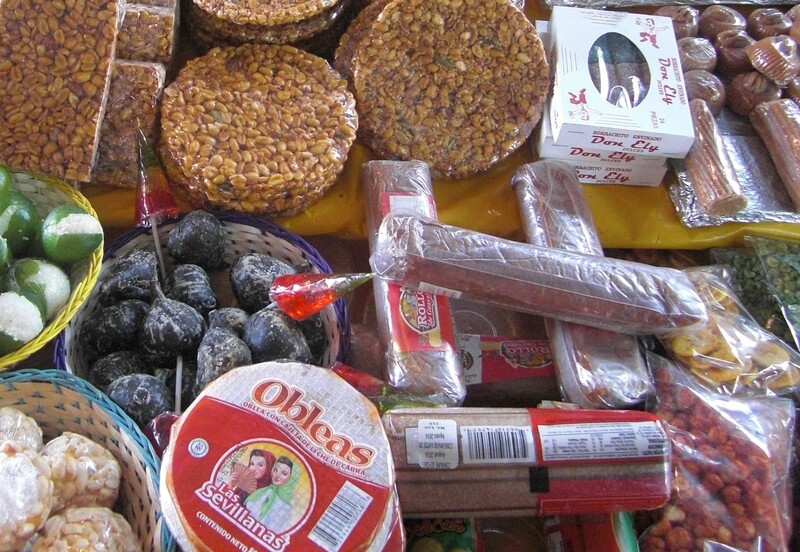 One day I entered a candy shop and the miracle was gone with the wind: even candy is spicy in Mexico! When my boyfriend buys a lollipop I can’t hide a smile followed by laughter. The lollipop is inside a small plastic bag, filled with… spicy powder! Which you (yes, really) put onto your lollipop! 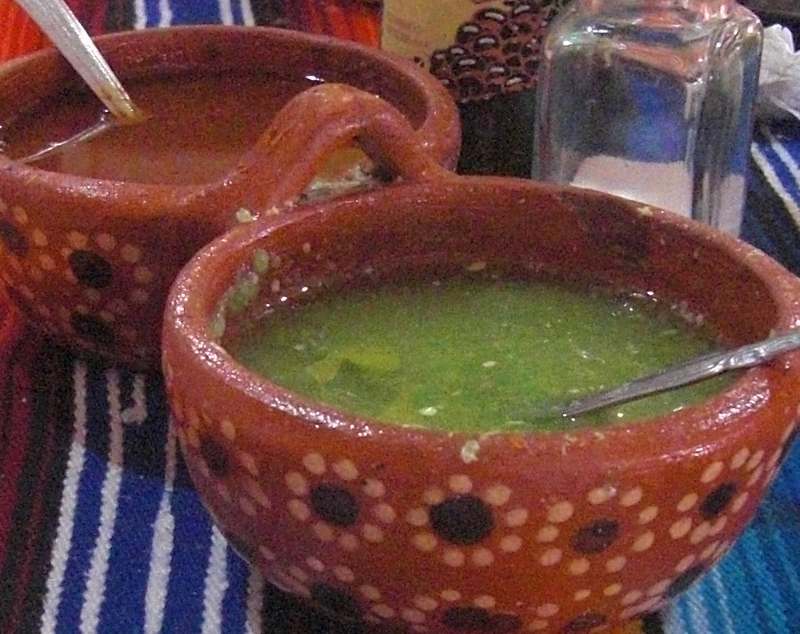 Fortunately there are also enough things to eat that do not contain chile, or you can simply order them without. Normally, when you take a good look at the candy/food and you notice a red glow, be aware. It might be something that pica. At times you cannot make such a guess, for instance when the package won’t allow you to search for the red color. When I got an attack for candy and thought to have bought the most delicious thing on earth, I got really disappointed opening the plastic and finding a candy covered in chile powder. Meantime I am getting better at this game of guessing.